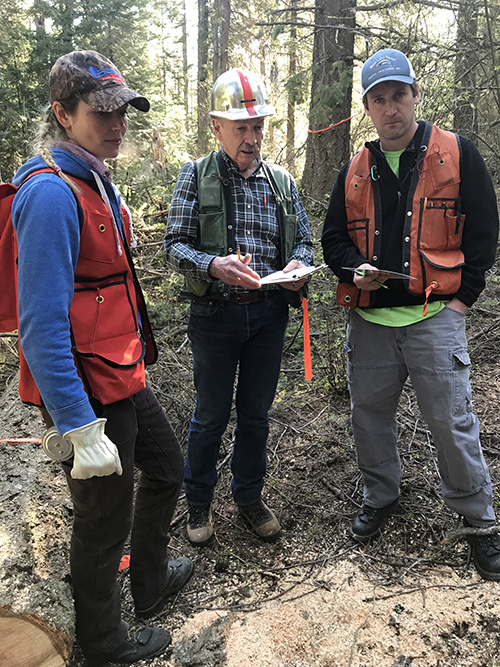 During the week of April 23, 2018, Dr. Jim Arney, Dr. Dan Opalach, and Mr. Brock Purvis participated in field trips to discuss data collection protocols with Forest Biometrics Research Institute (FBRI) Fellowship graduate students working on their Master of Science (MS) degrees at the University of Idaho (UI). FBRI started the Fellowship program with UI as a means of testing components of its forest management software, Forest Projection and Planning System (FPS), and getting the results published in professional journals. In addition, the program benefits the graduate students receiving the fellowships, their major professors, and UI’s Department of Forest, Rangeland, and Fire Sciences. 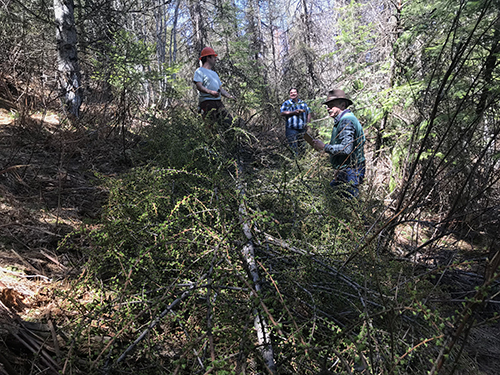 On April 24, Ms. Halli Hemmingway of Bennett Lumber Products (Bennett) and her major professor Dr. Mark Kimsey took the group to two sites northeast of Moscow to review the site tree measurement protocols for Dr. Arney’s 10m Site Index system. For her MS, Ms. Hemmingway will be using such data to construct a 10m site index layer for Bennett using Jim’s SiteGrid technology. She plans to fall 90 to 120 Douglas-fir trees for her study. Figure 1—Mr. 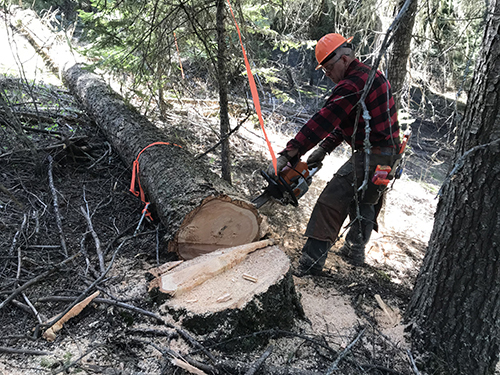 Ben Koester, timber faller, bucking a Douglas-fir 10m site tree into sections. A round will be cut out at stump height, 34 feet, 67 feet, and at 100 feet so that ages can be accurately determined at those heights. This is the kind of information that is needed to localize FPS and improve its ability to project the growth and development of forest stands. Figure 2—Dr. Jim Arney (center) discussing the 10m site index system with FBRI Fellowship recipients Ms. Halli Hemmingway (on the left) and Mr. Patrick Whalen (to the right). On April 26, Mr. Patrick Whalen of Inland Empire Paper Company (IEP) took the group to five sites southwest of Coeur d’Alene. For his MS degree, Mr. Whalen is localizing IEP’s site index GIS layer to take into account IEP’s investments in early silviculture. The data collection protocol for Mr. Whalen’s project involves the use of Dr. Arney’s CASH Card. (CASH is the acronym for Correct Age Site Height.) 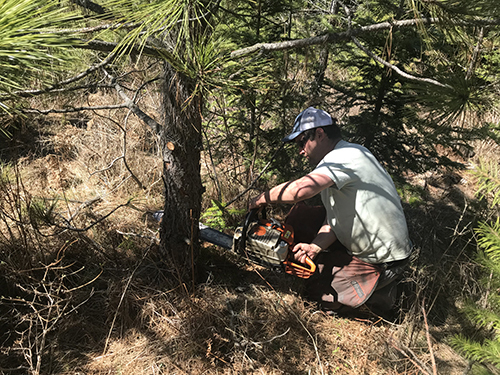 As part of his data collection efforts, Mr. Whalen will cut down trees in IEP’s young plantations to determine how many years it takes them to reach a height of 21 feet depending on species, site conditions, and silvicultural investments. Such information is needed to appropriately project the growth of these managed stands and to calculate financial returns associated with silvicultural treatments. Figure 3—Mr. Patrick Whalen cutting down a ponderosa pine to collect data for his MS thesis. Mr. Whalen must accurately determine how many years it takes site trees in IEP’s young plantations to attain 21 feet in height. He will use the data to localize FPS so it can better project the development of IEP’s young stands. Figure 4—From left to right Mr. Patrick Whalen, Mr. Brock Purvis, and Dr. Jim Arney measuring a western larch for Mr. Whalen’s MS thesis. This is the first year of the FBRI Fellowship program with UI and we are pleased to see it up and running full speed. Each of the recipients has identified an area of research that is of extreme interest to FBRI and so Dr. Arney and Dr. Opalach will be working diligently with these students and their major professors to encourage them to publish their results in a timely manner. 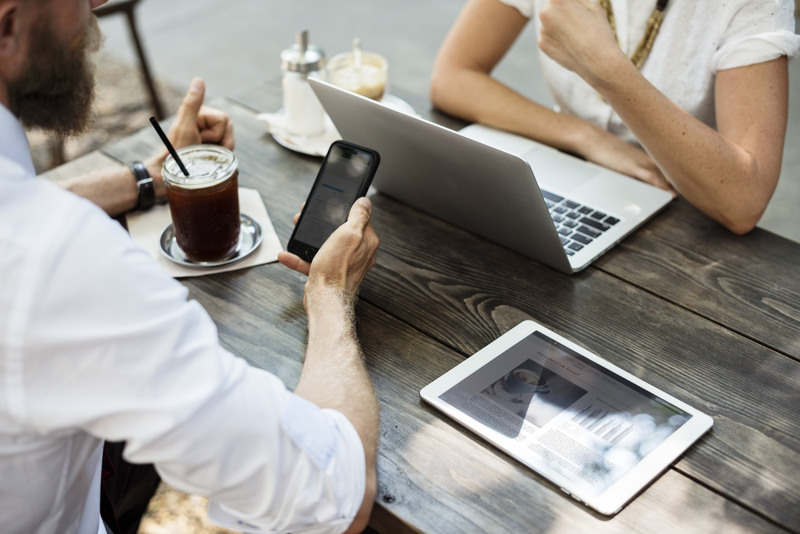 Working with graduate students is just one strategy adopted by FBRI’s Board that helps to further the mission of the Institute. For those of you interested in finding out more contact Dr. Dan Opalach, FBRI Forest Biometrician, at (971) 940-2409 or use the contact form below. In addition to Ms. Halli Hemmingway and Mr. Patrick Whalen, the other FBRI Fellowship recipient is Mr. Shawn DeFrance. Mr. DeFrance’s project is focused on competition indices used in the context of growth models.